ALMOST half of all TDs in Leinster House are worth more than €1m, according to the Sunday Independent's Political Rich List. The first-of-its-kind research project has estimated the combined potential wealth of all 158 TDs to be in excess of €216m. The analysis by this newspaper and financial expert Karl Deeter found that central to this wealth is the gold-plated public service pensions which TDs receive on retiring from politics. Comprehensive research by Mr Deeter shows how pensions accumulated by the country's most senior politicians would cost millions of euro to buy in the private sector. The Political Rich List also provides voters for the first-time with an estimated value of the non-political assets of TDs - whose decisions impact on the finances of every home in the country. The research project examined several publicly available sources of information to calculate estimated values for property, land and businesses owned by TDs. The insight into the wealth of the people who govern the country estimated that controversial Independent TD Michael Lowry is the wealthiest politician in the Dail. Mr Lowry's State pension and personal assets are estimated to be worth a massive €6.4m. The second wealthiest TD is Kerry TD Michael Healy-Rae, with an estimated value of €5.4m. Mr Healy-Rae is by far the biggest landlord in the Dail with 10 rental properties. However, Mr Healy-Rae told the Sunday Independent he is "up to my eyes in debt and trying to pay off mortgages every week". His brother Danny Healy-Rae's assets are valued at €1.6m, bringing their combined estimated family wealth to €7m. Minister for Education Richard Bruton, with a €4.9m estimated value, is the highest ranked member of Cabinet. Former Taoiseach Charles Haughey's son Sean Haughey is estimated to be worth €4.8m but this does not include his share in the €9m will recently left by his mother Maureen. 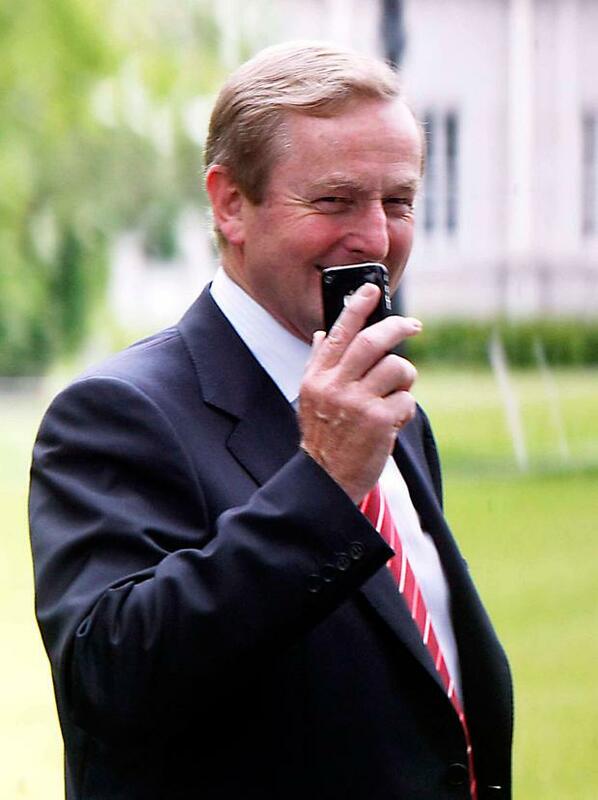 Former Taoiseach Enda Kenny is fifth wealthiest TD with an estimated value of €4.7m. Fine Gael is by far the richest political party with all 50 TDs having a combined wealth of €80m. Fianna Fail's 44 TDs are worth almost €70m, while Sinn Fein's 23 members of the Dail are worth an estimated €12m. The research also established a significant gender divide among the country's national politicians when it comes to their personal wealth. Of the 75 TDs estimated to be worth €1m, just 11 are female politicians. Former Tanaiste and Minister for Justice Frances Fitzgerald is the first female on the list in 18th place. She is worth €3m based on the value of her pension in private market. Labour Party leader Brendan Howlin is the richest party leader with an estimated value of just under €4m. Mr Howlin is closely followed by Fianna Fail leader Micheal Martin with a value of almost €3m. Meanwhile, Taoiseach Leo Varadkar is worth €1.2m while Sinn Fein leader Mary Lou McDonald is valued at €791,035. The Sunday Independent established that seven TDs, including three junior ministers, are in receipt of EU-funded farming grants. The research also established significant differences in the Dail Register of Members' Interests which TDs are required to complete once a year. The comprehensive level of detail of assets provided by some TDs is in stark contrast to limited information provided by others. Tanaiste Simon Coveney owns three properties - two houses in Cork and an apartment in Dublin - but only declares a rental property he owns in Cork. Mr Coveney, a former Minister for Housing, does not have to declare his interest in the other properties as they are personally used by him. However, former Taoiseach Enda Kenny lists every property he owns in his declaration, including his family home and the Dublin apartment he stays in while in the capital on Dail business. There is also a contrast in the level of details provided by TDs who own farmland. Some TDs give the exact acreage for the land while others merely give the townland where their fields are based. In most cases, the vast amount of a TD's estimated wealth is based on value of their pension in the private market. The cost of paying political pensions is part of the more than €430bn in pension liabilities which this country has (CSO figures for 2015). Of that sum, €350bn is unfunded, which means we have not put aside any money in advance to pay for those pensions, of which political pensions are only a small portion. Instead it comes out of whatever taxes are collected in the year in question, hence the description 'unfunded liability'. As part of the research, each TD was contacted and asked to verify the details they gave about their assets in the Dail Register of Members' Interests - a declaration of assets and interests which TDs are legally obliged to provide each year and which is published by the Oireachtas. The Rich List's political valuations are based on assets and do not include the annual €93,599 wage of TDs, the generous allowances, expenses or additional incomes they receive by sitting on committees. That income is subject to tax, PRSI, USC, pension levy and pension contributions. The List just focuses on termination payments (a €15,600 lump sum they can get when they stop being a TD), the one-off lump sum at retirement (a maximum of €140,399 tax free), the TD annual pension (a maximum of €46,800 a year) and the office holders' pensions, which we'll consider next. When a TD holds an 'office' (Taoiseach, Tanaiste, minister, minister of State or Ceann Comhairle) for two years, they qualify for a 20pc pension of the higher office salary earned at retirement. This goes up by 5pc every year to a maximum of 60pc of the office salary if they serve 10 years.